Maybe it's because I had a race last weekend, but I seem to have running on the brain this week. Which is why I just had to share this handy gadget. 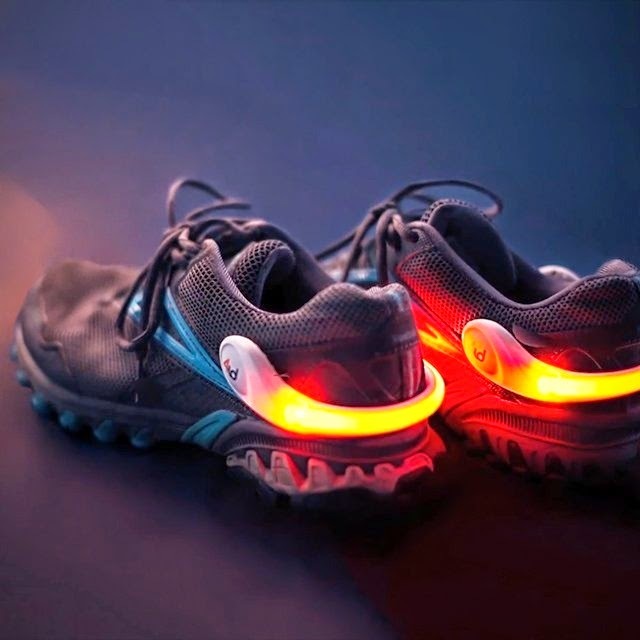 PowerSpurz LED Lights are clip-on LED lights that slide right onto the back of your sneakers, to keep you visible as you run (or cycle?). They have a really smart design, latching onto the ankle of your shoe with an ergonomic look. Unlike many other disposable running lights out there, these are the least intrusive design I've seen. And they feature a big power button to turn them on and off which is nice in the dark. All around, a winner. Find them on Fancy. Happy running! Dress Up for Your Next Race in Cosplay Running Gear!